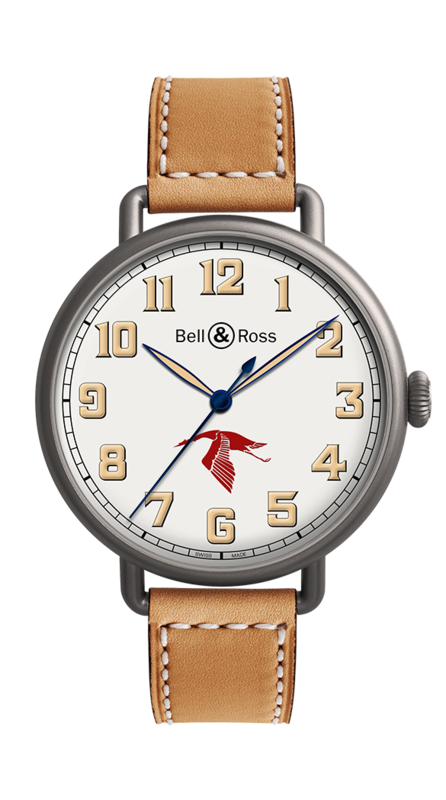 From its origins, Bell & Ross has been passionate about the history of aviation and its heroes. tribute to a legendary pilot: Georges Guynemer. celebrates a top gun of early aviation. Case: bead blasted steel with grey PVD finish. 45 mm diameter. Opaline dial. Index and numerals with beige Superluminova®. Bead blasted steel pin buckle with grey PVD finish.